This tool will be of great benefit to the teacher in terms of detecting violent behavior on a particular student by his or her classmates or other students from the school. In that direction, several questions are asked to determine whether there is violence in the school on the student and in which premises and during which period such violence takes place. 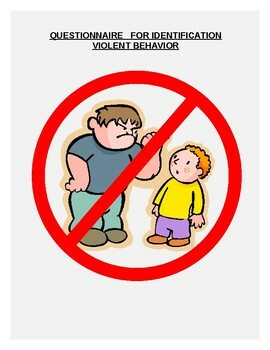 There are also questions through which you want to receive answers about how the student feels when someone behaves violently upon him, and there are questions through which he wants to determine whether the student answering the questions violates his classmates or someone else student from the school.